Happy Thursday everyone! Thursday is one of my favorite days of the week. That's usually my meeting day at work, so the day seems to go by really quickly, and then it's Friday! For dinner on Tuesday, Dan and I made homemade pizza for the first time. They actually turned out really well! It was both of our first time making a pizza, so I didn't know what to expect. It was really simple to make, and turned out delicious! 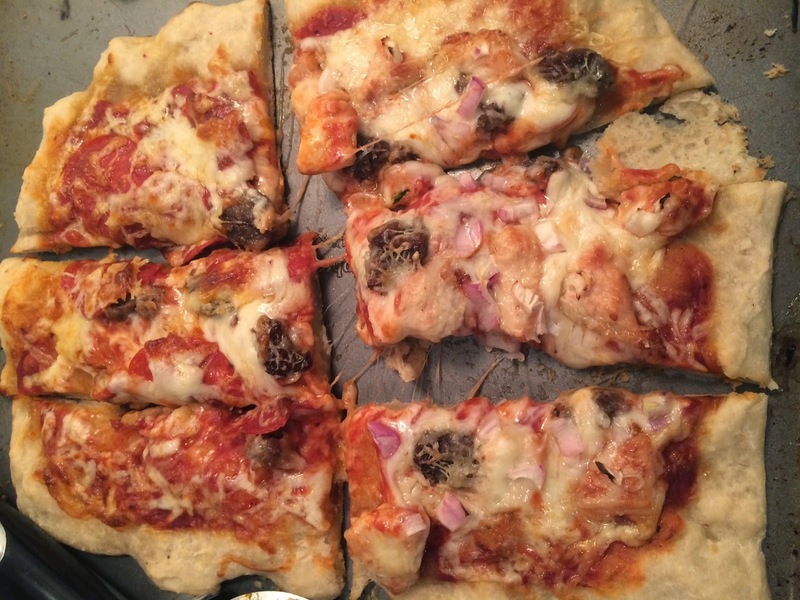 We both used Trader Joe's pizza dough, which was only $1.19 per bag. They offer plain, whole wheat, and garlic&herb. I also got all of my ingredients at Trader Joe's. 4. Stretch and pull the dough to get it into the rough shape you want to make (we both made rectangles). If it's a little too cold or hard to work with, let it sit out for 5 more minutes and try again. 5. Lay the dough down in the oily pan, and finish shaping it how you'd like. Make sure it's not too thin or too thick, and be sure to not tear any holes in the dough. 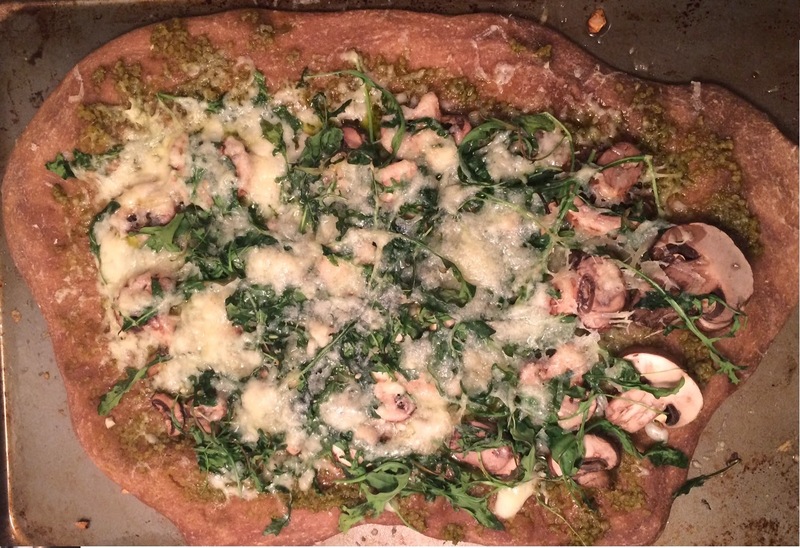 Make a crust around the pizza if you want to be fancy! 7. Add your toppings! Dan suggests adding cheese before and after the other ingredients so that it melts all over everything else. 8. Cook at 450 for about 6-8 minutes, or until the cheese is melted and the crust isn't too soft. I'll keep you all updated on his progress, and hopefully give some tips to new runners. He used to hate running with a passion, but he's been really enjoying the Couch to 5K program, and actually has been excited to go out for runs. Thanks for stopping by! Tomorrow I'll be starting another series, called "Top 5 Friday". I love when blogs have special posts on Fridays, so I'll be doing a different "Top 5" list each week! Tomorrow I'll be starting out with Top 5 Races. I'll also have some standard categories like 5 foods, 5 workouts, etc that I've seen on other blogs. See you tomorrow! I LOVE Trader Joe's pizza dough! We use it a lot! It's so good!! Do you have any favorite recipes?